execute your ideas into the right software that solves your business challenges? Can you know it for sure? There are a few key aspects any business can look at to choose a partner for custom mobile or web app development. Mobile and web apps are oxygen to any business. They define your values as an organization, communicate with your audience, and bring you customers. Web app or websites are a great way to showcase your expertise. This online presence is your THE most important marketing tool in this digital day and age. The criticality of mobile and web apps makes it harder for businesses to choose a development partner- knowing that the process costs a lot of money, time, and effort. Mobile apps and websites should be designed by a development services company that understands your business in and out- your goals, objectives, budget, audience, and your timeline. Such a custom mobile app development company would be hard to locate, but it’s worth spending the time to find the perfect digital partner for your business. Let’s help you clear the wheat from the chaff with six key aspects you can consider when choosing a web or mobile app development company. While a software development company that works with “anything that was recently uncovered” looks like an innovative option, they are often unable to justify their choice of technologies. Being trendy is not your top priority with your business app. And, so, pick a software development company that makes you understand why their tech stack is what it is. This company should be able to debate their technologies with you and offer logical explanations for choosing one technology over another. There are developers and companies out there who will only choose the latest technology to boast about their experimental nature. The right software development company will know better. It is not just about choosing a latest technology, but also about explaining why its tried and tested counterpart is not the best choice. A web or mobile app development project is too important for you to play with new technologies. If a custom app development company seems all very excited about this new tech that has only come around recently, and have no experience to show for it, you are better off partnering with someone else. You don’t want to be the first business client for your partner. If you are, they will have to go through a learning curve understanding how businesses operate and make decisions, and so on. On top of it, you will have to bear working with a company that handles issues less maturely. Business web and mobile app development companies are a lot different than those who develop websites and apps for freelancers or bloggers. It is a huge plus for you if your partner has prior experience working with companies in your industry. This way, you can make sure they are well acquainted with your sector and will be able to take the project off the ground with little to no assistance. To check their track record, you can ask for their portfolio, case studies, or anything else that shows they have worked with business clients. Sure, you are following a timeline. And, it is understandable that you want to find the right app and web development company as soon as you can. But, a business app or website is not a one-off project that can be taken up in haste. If a software development company can give you an entire plan of execution before looking at your business operations and your data, they are not your right match. The right outsourced development company will take its time in deliberating over your requirements, going in-depth on your objectives, and will then suggest a route. An expert will never read it off your mind. They will always take time to gain comprehensive knowledge of your requirement before laying out a plan. If you want to go with a high-end software development company and get a premium experience, you might get into something you’d regret. In large corporations, your entire project is handled by developers who are already looking for greener pastures and planning their resignation. So, you end up not being in touch with the leadership and working with developers who only know substandard design and development. Even if you have no contact with the leadership, try and get on a call with the developers you are going to work with. Speaking to them will open up opportunities for you to learn how much they know and what experience they bring to the table. It is important for you to know the expertise level of developers and managers who will be engaged in your project. A web or mobile app development project is never finished. At no point in time can an app development company proclaim they have successfully finished the work for a software. The pace at which trends and technologies are changing is unbelievable. And, you will need feature additions, maintenance, and support services besides other follow-up work. It pays off to engage your development partner for post-launch requirements. Otherwise, you will only have a tiny glitch and you’ll have to search a new partner to fix that. To save yourself some effort and pain down the road, review the post-launch policies of your web and mobile app development partner. If there are guidelines or provisions for maintenance/support after app deployment, look closely for hidden charges. You may also want to look at their reviews to see what their previous customers have to say about their support services- (they talk about it because these are crucial) prompt, proactive, and diligent? You’re good to go. The custom mobile app development company that offers no maintenance or support service but charges only half of another company’s quote is probably still too expensive. The entire cost of the project includes the cost in money, time, energy, and effort. If a company is reliable enough to proactively work on your project and achieve timely milestones during development, even if they charge slightly more money, they will save you a lot on head-space and energy. For your mobile app development, you need a partner you can count on. Businesses outsource software development because they don’t want the process to interfere with what they do best. Thus, if your partner wants your team to be engaged in the project with them all the time, they’re not worth it. Choosing the right software development company can seem like a gigantic task, but taking care of these critical and often-avoided aspects can make a big difference to your experience at the end of the day. CDN Software Solutions proves to be a trustworthy partner for small-large businesses primarily in the domain of enterprise, retail, consumer, and start-ups. 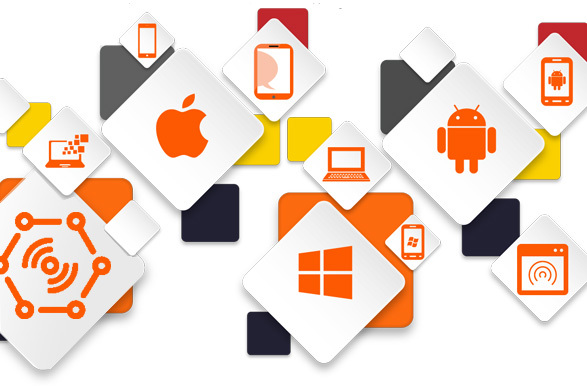 We have delivered consultancy and mobile and web app development services to clients all over the world. With an impressive portfolio of mobile apps and websites, we can take care of your project end-to-end.